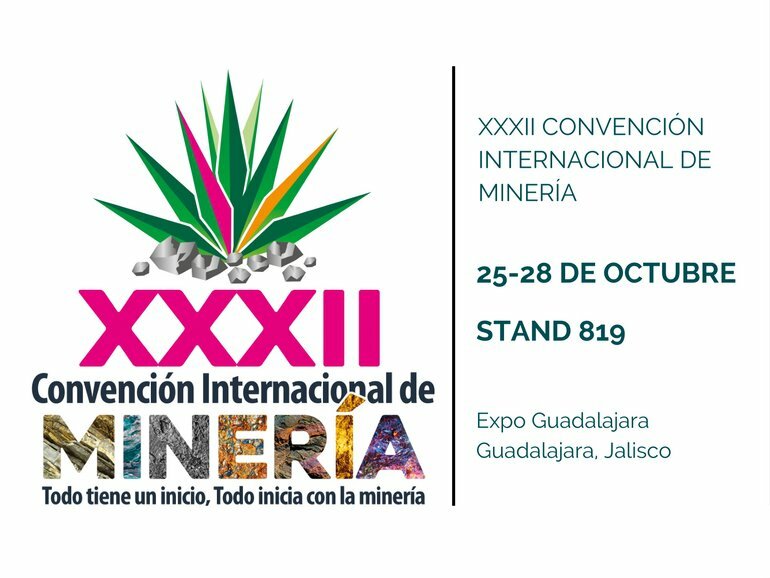 We are glad to announce that we will participate in the 32nd International Mining Convention in Guadalajara, Jalisco. The event will take place at the Expo Guadalajara, from October 25th-28th. Contact us to arrange a meeting with our technical experts at booth #819. Mexico has a great mining tradition and is among the top ten world producers of 16 different minerals, standing out as the worldwide leading producer of silver. Organized by the Association of Mine Engineers, Metallurgists and Geologists of Mexico, the 32nd edition of the International Mining Convention brings together all the Earth Science professionals with their knowledge and experience in the mining sector, making it one of the most important conventions in the world. The event will take place from October 25th-28th at the Expo in Guadalajara, Jalisco. Since its first edition in 1955, the International Mining Convention has established itself as the main mining event in our country, and one of the largest worldwide; it represents a key forum for innovation and networking for all members of the Mexican Mining Sector. Maccaferri products and solutions can help mine owners with any kind of problem at each stage of their mine’s lifecycle. From tip walls, haul roads, rockfall hazard mitigation, product concentration, and leachate storage, to dewatering and site remediation, we are here to provide you with our range of solutions – For more information contact us!